Situated at the eastern end of North Street is the ruined western end of St Andrews Cathedral, once the largest and one of the most magnificent cathedrals in Britain; the striking ruins convey a sense of its immensity. Although it was founded in 1160, it wasn’t consecrated until 1318. It was a focus of pilgrimage until the Reformation, when it was pillaged in 1559. St Andrew’s bones lie under the high alter. Until the cathedral was built, they had been enshrined in the nearby Church of St Rule. All that remains is the St Rule’s Tower – well worth the climb for the views across St Andrews and a great place for taking photographs. In the same area are parts of the ruined 13th century priory. The St Andrews Cathedral Visitors Centre includes the calefactory, the only room where the monks could warm themselves by a fire; masons’ marks on the red sandstone blocks, identifying who shaped each block, can still be clearly seen. There’s also a collection of Celtic crosses and gravestones that were found on the site. The highlight is the carved stone sarcophagus. It was carved in the 8th century and the detail is simply amazing. What survives is mainly a woodland hunting scene with the animals seemingly about to leap off the stone. Although it’s Pictish, it shows definite Mediterranean influence. 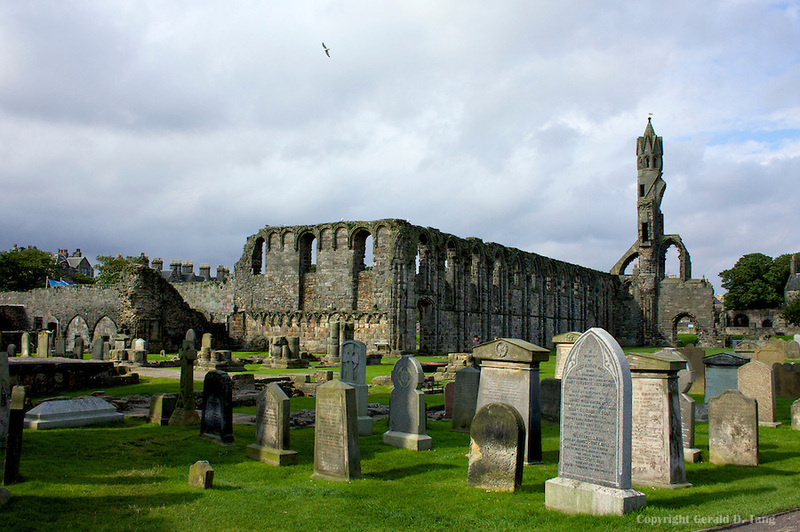 St Andrews Cathedral is worth a visit on your Scotland tours. Contact us now to arrange your visit.